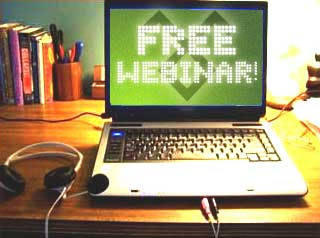 Do you keep these webinars online for future viewing? The live time is not always convenient. Especially for those of us in different time zones. @Clayton- Yes, we try to record all events so they can be made available "on demand." We run the live events at 11:00 AM EST because that accommodates the largest range of timezones (8:00 AM PST, 10:00 AM CST, 4:00 PM GMT (Europe)). Hopefully you'll be able to make the live event, but if not, we'll try to make recordings available within a week or two of an event. That's 3AM Melbourne, Australia time! But its a round world and you can't catch everybody. As long as the info is available on demand in a timely fashion then that's fine. my link says the webinar is over. which if it was at 11am cst and I am here at 10 central time I shouldnt of. Anyone else have a problem. boo if it was canceled without notice!